On an average 150 to 200 tickets are being booked through cell phones every day in the state. The new system promises to end the travails of long wait in serpentine queues to procure computerized journey tickets. PATNA: Booking of railways' journey tickets through cell phones is fast becoming popular under East Central Railway (ECR), particularly in Bihar. On an average 150 to 200 tickets are being booked through cell phones every day in the state. The new system promises to end the travails of long wait in serpentine queues to procure computerized journey tickets. According to ECR GM Madhuresh Kumar, railways has been providing several amenities to passengers now. Ticket booking has been a major segment where railways is always keen to improve it further. The new facility to book railway tickets through SMS is one of them, he said and added 'Janata Ticket Booking System' (JTBS) has also evoked good response from passengers. Kumar said railways has also introduced SMS system to register complaint with railways in connection with poor quality of meals. There is a helpline which works round the clock in case of any security problem to passengers on running trains, he said. 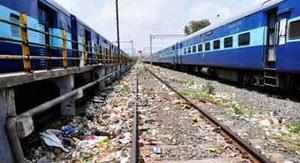 According to a Railway Board official, the newly developed ultra-modern system is picking up in Bihar and adjoining states. Railways is keen on creating awareness about this new facility among passengers of ECR. "The cellphone booking is akin to e-ticketing," he said. According to sources, the IRCTC first introduced this system way back in 2003. But it could not make much headway due to technical reasons. Earlier, this system was brought into service through cellphones on voice mail and SMS only. But it did not evoke good response from passengers.